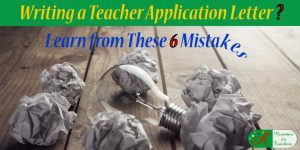 Write a teacher application letter a.k.a. 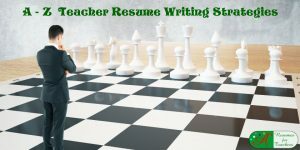 teacher cover letter to convince the reader to move on to your academic resume to ultimately land a job interview. To help you, I’ve assembled hard-hitting excerpts from sample application letters for teaching positions. Use your academic cover letter to introduce you as a professional educator, highlight your hands-on expertise, demonstrate your talents and skills, and portray your unwavering commitment to education. The selections from various teacher sample application letters include individuals focusing on Elementary Education, Special Education, Substitute Teaching, and School Administration. 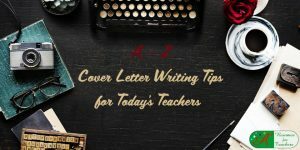 Your instructor cover letter should showcase your greatest strengths as an educator, and display concrete examples of how you have actively engaged students, implemented creative lesson plans, and differentiated instruction. 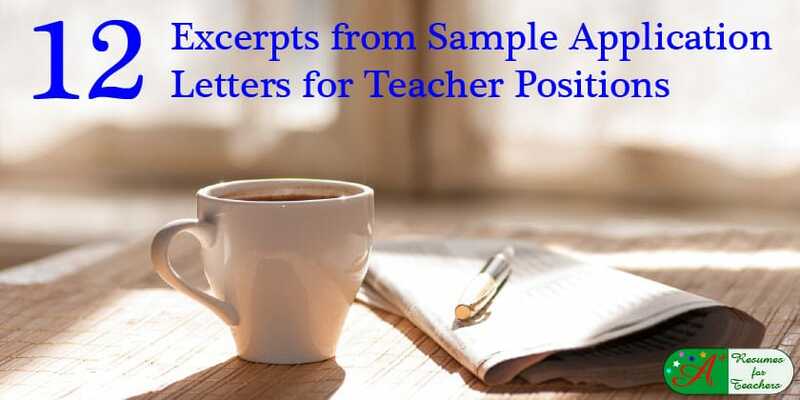 Below you will find excerpts from the various sections that make up the sample application letters for teacher positions: introduction, body, and conclusion (or concluding paragraph). Remember that the structure of your letter is important: it should contain an introductory paragraph, one or two body paragraphs, and a concluding paragraph. It is with great pleasure to present my resume to you for a position as a Special Education Teacher with ABC School District. I have earned a Bachelor of Education in Elementary Education and Florida Teaching Certification. As a hardworking and dedicated teaching professional, I am confident in my ability to become a valuable member of your academic team. I am excited to present my well-rounded resume to you for the position of Elementary School Teacher. With a Master’s Degree in Education and 12 years of teaching expertise, I am confident in my ability to be an asset to your exceptional teaching team. 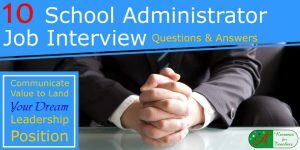 With over ten years of hands-on experience in the classroom, a Master of Art in Teaching Degree, and an Administrative Credential, I am eager to transition into the leadership role of Assistant Principal. My enclosed resume will demonstrate my commitment to education, excellent leadership skills, and my passion for academics. The enclosed resume will highlight my career accomplishments and showcase my expertise in education. I have had the opportunity to instruct a diverse student population including those afflicted with ADD/ADHD, autism, developmental delays, learning disabilities, non-compliant behavior, and physical challenges. As a result, I possess the ability to remain calm, patient, and persistent. I administer frequent assessments, communicate regularly with parents, and adapt instructional techniques to facilitate students’ changing goals and needs. Being a versatile educator, I have had the wonderful opportunity to teach an academically and socially diverse group of children from grades one to five. I have developed excellent communication, interpersonal, organization, and problem-solving skills, which enable me to teach any elementary grade level effectively. I have proven my ability to adapt quickly to a changing student population while maintaining a well-behaved and focused learning environment. My teaching style is very flexible and student-focused. 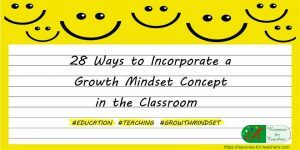 I take the time to get to know my students as individuals, which allows me to tailor my instruction according to their unique learning goals. I design adaptable lesson plans, exciting hands-on activities, and engaging thematic units to spark students’ interest, attention, and imagination. I facilitate student learning by developing innovative lessons that students can find relatable, understandable, and memorable. 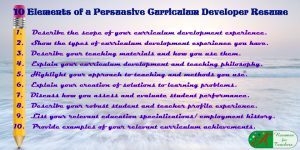 I utilize strategies centered on the latest research-based instruction to effectively incorporate engaging activities and relevant materials that capture the interest of my students. By integrating exciting technology, meaningful manipulatives, and cooperative learning projects, I have been able to provide students with a well-balanced educational experience, which promoted academic, social, cognitive, and physical development. My greatest strength as an educator is my capability to actively engage the class. By incorporating up-to-date technology, appropriate literature, and meaningful thematic units, I can effectively facilitate all types and levels of learners, while sparking their interest in education. Being a very innovative and dedicated educator, I welcome the opportunity to meet with you to discuss how my extensive experience and skills will benefit your academic program. Thank you for your time and consideration, and I look forward to hearing from you soon. As a collaborative and student-focused teacher, I welcome the chance to discuss how my expertise, skill set, and passion will be of value to your academic program. Thank you for your time and attention, and I look forward to speaking with you soon. I am a resourceful, dedicated, and determined instructor, who is willing to lead extracurricular activities. As such, I am confident you will find me to be a valuable member of your team. I can be reached by either telephone or email, and welcome the opportunity to speak with you further. With these examples, you will now have a great starting point from which to develop your academic application letter or cover letter. Use these example sentences to help you write a compelling letter that will get the attention of school districts. I hope you enjoyed these sample application letter excerpts. 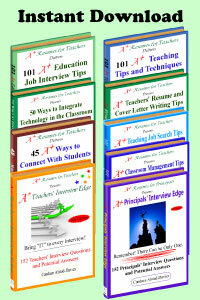 You can review full versions of various cover letters for teachers or school administrators on our website. 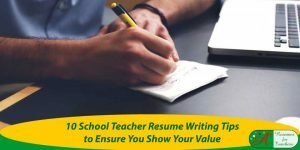 Whether you are writing a new teacher resume or an educational leadership resume, make sure the font and design match the application letter. Do you need assistance with writing your academic resume or application letter? As a professional resume writer who earned dual certification in resume writing, I know what it takes to grab the attention of potential schools. 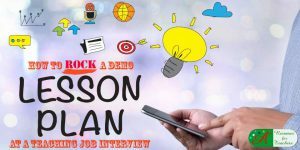 When it comes to your future educational career, seeking out the help of a career coach is always a great idea. 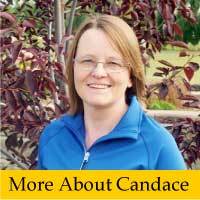 You can view our resume services or check out this page to learn more about Candace Alstad – Davies. Or, feel free to contact me or call 1-877-738-8052 to speak to me directly.